This was a book I didn’t think I really wanted to read, but I caved to the pressure. I was certain I would quit this book because it would be too “Chick Lit-ish”. Louisa is a twenty-six year old who gets laid off from her job at a cafe. She lives with her family (mother, father, younger sister, nephew, and grandfather). They don’t have much money. She gets a job caring for Will, a quadriplegic man. A wealthy quadriplegic man. An attractive quadriplegic man. The thing is, Will doesn’t want to live like this. He was very active before the motorcycle accident, and now lives in constant discomfort and pain. Lou makes it her mission to show him just how beautiful a life he can still have. See? Sounds incredibly sappy, right? It’s not though. 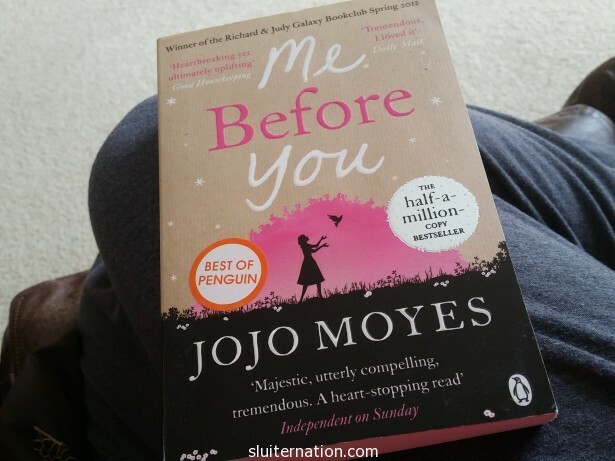 I don’t know how JoJo Moyes did it, but Me Before You is fast-pace, witty, and even suspenseful. I found myself worrying about the characters when I wasn’t reading. Yes, there are a bunch of cliches and the premise itself is pretty sappy, but somehow Moyes made me care about the characters. She made me root for Louisa and Will…and not that they would get romantically involved, but that she would be successful in showing him a wonderful life. On the other hand, the book also made me seriously think about my own views on assisted suicide. It was a deep topic that read like a light beach read. That is writing talent, right there. Even before I was finished with the book, I recommended it to someone and promised to bring her my copy the next time I see her. I don’t do that with many books. Have you ever been pleasantly surprised by a book that you thought you wouldn’t like, but ended up loving?